The Book of Mormon is powerful evidence for the existence of God. Here we have a Book which has been written on gold plates, and revealed anew in the nineteenth century through the instrumentality of visions, angels, and miracles. It purports to give the history of ancient peoples and the teachings of ancient prophets who spoke with God or received revelation from him. This is not a normal Book. If it is true, then it is proof that God exists and is involved in and concerned about the life of each and every living soul. the God and the Lamb forever.” (Journal of Zera Pulsipher). From the very nature of the Book of Mormon, it makes claims both explicit and implicit as to the reality of God. Once we receive a testimony of the Book of Mormon, the fact of God’s existence is a settled issue for us. Nephi wrote, “For according to the words of the prophets, the Messiah cometh in six hundred years from the time that my father left Jerusalem; and according to the words of the prophets, and also the word of the angel of God, his name shall be Jesus Christ, the Son of God” (2 Ne. 25:19, emphasis added). He further wrote, “And now, my beloved brethren, and also Jew, and all ye ends of the earth, hearken unto these words and believe in Christ; and if ye believe not in these words believe in Christ. And if ye shall believe in Christ ye will believe in these words, for they are the words of Christ, and he hath given them unto me” (2 Ne. 33:10). Likewise did all the prophets in the Book of Mormon repeat the good news of Christ. Furthermore, the Book finally culminates in the personal visitation of the Savior Jesus Christ to the Americas, in which he extensively taught to the people his doctrine. 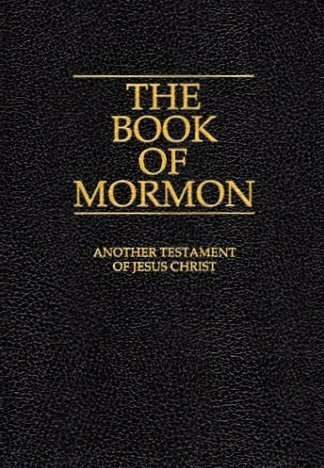 If the Book of Mormon is anything at all, it is Another Testament of Jesus Christ. The Lord said in the Doctrine & Covenants that the Book of Mormon “contains a record of a fallen people…which was given by inspiration, and is confirmed to others by the ministering of angels, and is declared unto the world by them – proving to the world that…God does inspire men and call them to his holy work in this age and generation, as well as in generations of old; Thereby showing that he is the same God yesterday, today, and forever.” (D&C 20:9-12). God said in the Old Testament, “For I am the LORD, I change not” (Mal. 3:6, emphasis added). If this statement were true, then one would expect God to keep calling prophets, and to keep revealing scripture to his children. The Book of Mormon is the modern assurance that God was truthful when he said that he changes not. In 1820 Joseph Smith the Prophet saw God and his Son Jesus Christ. Later he was visited by angel Moroni, then by Peter, James, and John; Later by Moses, Elias, and Elijah, as well as Michael, Gabriel, Raphael, and other heavenly beings (D&C 128:21). He received visions, commandments, and revelations. These things, standing on their own, are impressive. But the Book of Mormon stands as tangible and irrefutable evidence of the Prophet Joseph’s contact with the divine. The best historical research indicates that Joseph Smith completed the translation process in about 65-75 working days (Carlos E. Asay, In the Lord’s Service, p. 23). Yet he was largely unschooled and lived in rural nineteenth century New York State and Pennsylvania, which surely would afford little if any opportunity for appropriate reference material. Even in today’s world, with all the resources and research available today, it is highly doubtful that even the most educated person on the subject could produce a work that could parallel the Book of Mormon in scope, scale, consistency, and detail. The Book of Mormon’s intricacies and inner complexity are astonishingly consistent both with itself and the Bible. As Joseph F. Smith observed, “When [Joseph Smith] had finished translating the Book of Mormon he was still only a boy, yet in producing this book he developed historical facts, prophecies, revelations, predictions, testimonies and doctrines, precepts and principles that are beyond the power and wisdom of the learned world to duplicate or refute” (Joseph F. Smith, Gospel Doctrine, p. 483). As Hugh Nibley said, “There is no point at all to the question: Who wrote the Book of Mormon? It would have been quite as impossible for the most learned man alive in 1830 to have written the book as it was for Joseph Smith” (Hugh Nibley, Of All Things! Classic Quotations from Hugh Nibley, p. 143). Since the Book of Mormon establishes that Joseph Smith was a true Prophet, it follows very easily from that that the Church is also true, and that the President of the Church today is a true prophet as well. And so these things are established by domino effect, as it were, all beginning with the Book of Mormon – the key to conversion and the very keystone of our religion. It is interesting to note that of all the churches which make claim to the Prophetic legacy of Joseph Smith, only the Church based in Salt Lake City, The Church of Jesus Christ of Latter-day Saints, stands up to the prophecy of Joseph Smith, which declares that “the truth of God will go forth boldly, nobly, and independent, till it has penetrated every continent, visited every clime, swept every country” (The Wentworth Letter). day, if ye shall spurn at his doings he will cause that it shall soon overtake you. (3 Ne. 29:1-4). When people join the Church, they are gathered in to the fold of God, or the House of Israel. Those who are not Israelite by literal lineage are adopted into the house of Israel at their baptism (Gal. 3:26-29). In addition to commencing the gathering of Israel, the Book of Mormon is also the main conversion tool to accomplish this. And of course even today missionaries use it as their primary thrust to introduce people to the Gospel. industrious. They had built many cities with great highways connecting them. They engaged in shipping and trade. They built temples and palaces. (Ezra Taft Benson, A Witness and A Warning, p. 37). Witness and A Warning, p. 20). truth of the first. (1 Ne. 13:39-40). Likewise Nephi said, “Wherefore, my brethren, I would that ye should consider that the things which have been written upon the plates of brass are true” (1 Ne. 22:30). What things were written upon the plates of brass which Nephi was referring to? It was the Bible, inasmuch as it then existed. 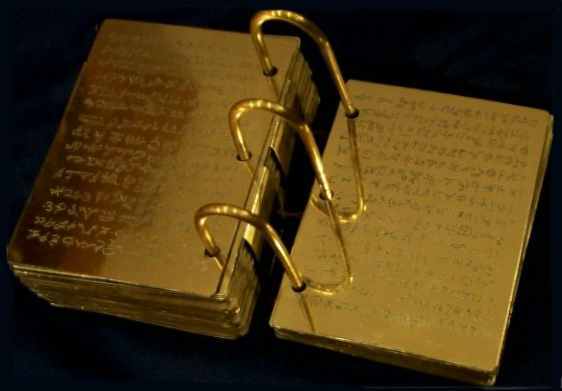 The Book of Mormon relates that the plates of brass “did contain the five books of Moses, which gave an account of the creation of the world, and also of Adam and Eve, who were our first parents; And also a record of the Jews from the beginning, even down to the commencement of the reign of Zedekiah, king of Judah” (1 Ne. 5:11-12). The Book of Mormon further indicates that “these plates of brass should go unto all nations, kindreds, tongues, and people” in a state that, though missing “many parts which are plain and most precious” (1 Ne. 13:26), is remarkably well intact, as Lehi prophesied, “these plates of brass should never perish; neither should they be dimmed any more by time” (1 Ne. 5:19). All the while the Book of Mormon has consciously assured us that, “the things which have been written upon the plates of brass are true” (1 Ne. 22:30, emphasis added). And so we have the Book of Mormon’s endorsement that the events of the Creation and the history of the Old Testament are true. The Book of Mormon also goes on to particularly corroborate many specific events of the Bible, such as Moses leading the Children of Israel out of Egypt (1 Ne. 17:23-25), the parting of the Red Sea by Moses (1 Ne. 17:26), the Tower of Babel episode of Biblical fame (Ether 1:33), the Flood of Noah (Ether 13:2; Alma 10:22), and the miracle in which “it appeareth unto man that the sun standeth still” for Joshua (Hel. 12:15; Josh. 10:12-14). It is marvelous to have the assurance from the Book of Mormon that the Bible is true and accurate. In our day when many people scoff at the Bible, considering it to be an out-of-date irrelevance, full of foolish stories, the Book of Mormon gives us the ability to believe in it with confidence. All throughout the Book of Mormon, it corroborates both the teachings and the historical events within the Bible. Therefore, a person who believes in the Book of Mormon ought to be among the strongest of believers in the history and teachings of the Bible, just as it is presented in that book. Latter-day Saints are fortunate to have the unquestionable and definite assurance, because of the Book of Mormon’s endorsement, that the Bible is true and accurate. The Book of Mormon declares that it “shall establish the truth of the first [the Bible]…and shall make known the plain and precious things which have been taken away from them” (1 Ne. 13:40, emphasis added), and that the Bible and the Book of Mormon “shall grow together, unto the confounding of false doctrines and laying down of contentions, and establishing peace among the fruit of thy loins, and bringing them to the knowledge of their fathers in the latter days, and also to the knowledge of my covenants” (2 Ne. 3:12). Think of all the doctrines of the Bible which are presently debated and misunderstood in Christianity today: the status of children regarding baptism, the need for baptism in general, the Fall of Man and the purpose of our existence, the faith and works controversy, to mention only a few. The reason so many Christian churches exist is because people cannot agree on how to interpret the Bible. And yet all throughout its pages, the Book of Mormon interprets the Bible for us, having the effect of “confounding of false doctrines and laying down of contentions…and bringing them to the knowledge of their fathers in the latter days, and also to the knowledge of my covenants” (2 Ne. 3:12). withheld from them, unto their condemnation. (3 Ne. 26:9-10). It is clear therefore, that when the Lord said that the Book of Mormon contains “the fulness of my everlasting gospel” (D&C 27:5) it means that the Book of Mormon contains the fullness of doctrine necessary to get on that path which leads to eternal life. All mankind are plagued with questions regarding their existence. Questions such as, “What is the purpose of life?”, “What happens when I die?”, and “Why does God allow suffering?” These and many other burning questions that lie deep in the heart of man are answered in the Book of Mormon, and many times with greater plainness and less ambiguity than one would find from the Bible. Taft Benson, A Witness and A Warning, p. 6). The Prophet Joseph Smith taught, “the Book of Mormon was the most correct of any book on earth, and the keystone of our religion, and a man would get nearer to God by abiding by its precepts, than any other book” (Joseph Smith, History of the Church, 4:461, emphasis added). It is no mystery, then, why we are counseled to read the Book of Mormon daily, and also to read it together as a family. President Benson said, “The Book of Mormon has not been, nor is it yet, the center of our personal study, family teaching, preaching, and missionary work. Of this we must repent” (Ezra Taft Benson, A Witness and A Warning, title page). The Book of Mormon is ideal for perfecting the human family. In it is found a detailed study of the pride cycle of people long ago, detailing their triumphs and failures, and eventually it culminates in the people becoming of one heart and one mind (4 Nephi). serveth God and him that serveth him not. (3 Ne. 24:16-18; Malachi 3:16-18). The Book of Mormon is like a great sifter. Those who embrace its message and follow its precepts will be received into the Kingdom of Our Father in Heaven. Those who reject it will receive a degree of damnation according to their works. The Lord is proving the faith of the inhabitants of this world, and he is using the Book of Mormon to do it. As Ezra Taft Benson noted, “The Book of Mormon is the great finder of the golden contact. It does not contain things which are ‘pleasing unto the world’ (1 Ne. 6:5), and so the worldly are not interested in it. It is a great sieve” (Ezra Taft Benson, “The Book of Mormon is the Word of God,” Ensign, May 1975). Now it should be abundantly clear why we need the Book of Mormon and why it is important. There need not be any uncertainty about the matter now. There are at least thirteen vital roles fulfilled by the Book of Mormon, and with which it is particularly and especially qualified. The Book of Mormon stands apart from all other books. Its role is certainly not trivial, but absolutely paramount. As we read the Book and take it seriously, we will be preparing ourselves for an inheritance in God’s Kingdom.